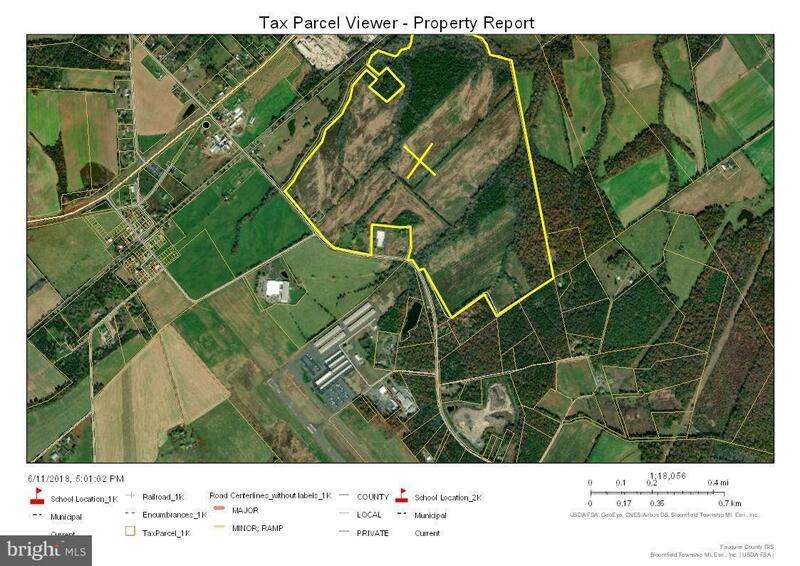 318 Acres of Industrial-1, and RA zoned property. Less than 1 mile from route 28 and Warrenton-Fauquier Airport. This land has an easement over a large portion for nutrient easement, and has been planted in trees. Possible great hunting preserve.